The Indian community in Singapore will host a cultural gala event for Prime Minister Narendra Modi who is scheduled to visit the prosperous city-state later this month. 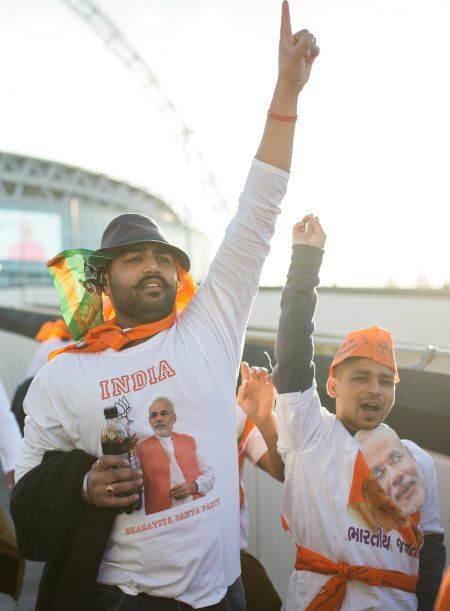 Modi is expected to address more than 18,000 people at the event, during which students from local schools will stage a series of cultural performances. “Preparations are underway and three halls have been booked at the sprawling Singapore Expo centre,” said Atul Temurikar, chairman of the Singapore NRI Forum, a not-for-profit trust. Modi, actively seeking support from Singapore – now India’s second largest source for FDI and 10th largest trading partner, is to make a three-day visit to the country starting November 23. “It will strengthen Singapore-Indian cultural ties,” added Satya Murthy Vamaraju, a director of the forum. Online registrations have already begun, with over 15,000 people having registered so far, said Vamaraju. The event is sponsored by the Singapore Indian community, Temurikar said. Over the past decades, Singapore and India have developed a special relationship rooted in historical and cultural ties, and bolstered by growing cooperation in various sectors. During Modi’s visit to Singapore bilateral relations will be elevated to “Strategic Partnership”, Singapore Premier Lee Hsien Loong has said. This year also marks the 50th anniversary of the establishment of diplomatic ties between India and Singapore.